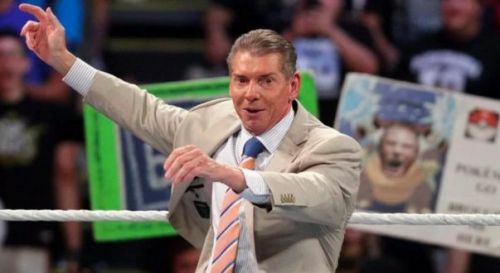 With WrestleMania season in full swing, Vince McMahon wants to leave no stone unturned to make WrestleMania 35 the greatest WrestleMania of all time. If Kurt Angle's retirement, Batista's return and the first ever Women's main event were not reason enough for you to be sold, a Hall of Famer and former Divas Champion may also be making her in-ring return at the show. WWE recently introduced the WWE Women's Tag Team Championships. In a hard-fought battle among six teams, Sasha Banks and Bayley became the first ever champions when they won the Elimination Chamber match to crown the Champions. The team known as the Boss 'n' Hug connection is currently feuding with Nia Jax and Tamina. The two teams faced off at Fastlane with the champions picking up the win. However, things got out of hand when the monstrous duo attacked the Champions after the match, and even attacked Beth Phoenix who was doing commentary. It was Phoenix's old friend Natalya who came to the aid, evening out things. On RAW this past week, Phoenix accompanied Natalya in her match, indicating that this much-loved team might be back for good. As per the Rumor Roundup on Cagesideseats.com, it is reported that there is a lot of speculation that Beth Phoenix is back to team with Natalya for a women’s tag team title match at WrestleMania 35. This is great news as Phoenix has been out of action since 2012, even though she did compete in a one-off match at the first ever Women's Royal Rumble match. Beth Phoenix is set to make an appearance on RAW this week, and will most likely announce her return and intention to compete at WrestleMania 35.